Dover Castle is regarded as one of the greatest and most impressive castles in existence. 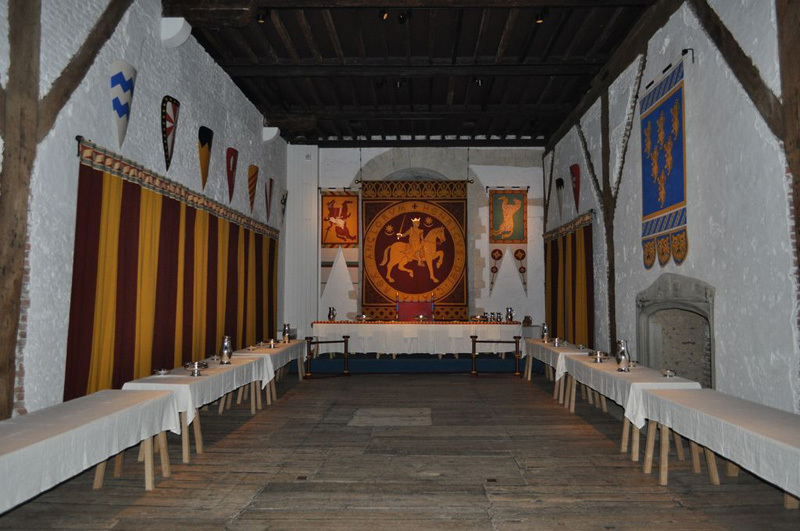 It has an incredibly long and rich history, and recently English Heritage have done a magnificent job of recreating Henry II’s medieval palace. 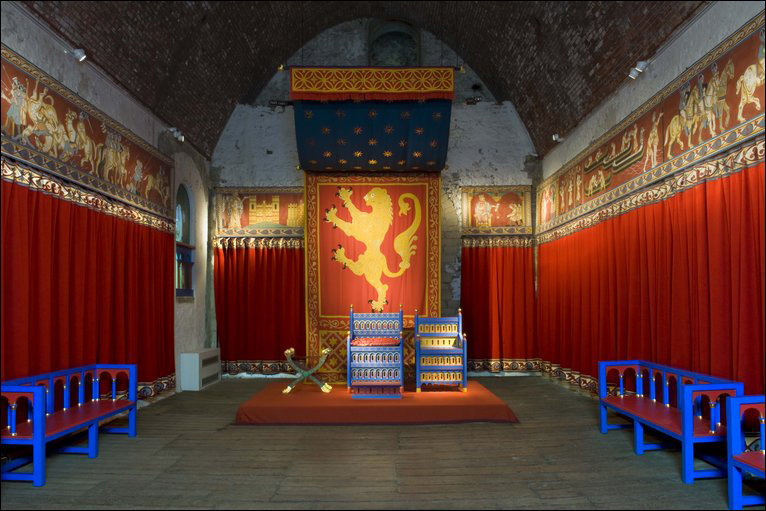 For the past couple of years historians have been working in conjunction with blacksmiths, carpenters, embroiderers and painters to give Dover Castle a £2.45 million ‘medieval makeover’ and the result is outstanding. Commanding the shortest sea crossing between England and the continent, Dover Castle has a long and immensely eventful history. Many centuries before King Henry II began the great stone castle here in the 1160s, its spectacular site atop the famous ‘White Cliffs’ was an Iron Age hill fort, and it still houses a Roman lighthouse, one of the best-preserved in Europe. The Anglo-Saxon church beside it was once probably part of a Saxon fortified settlement: very soon after his victory at Hastings in 1066, this was converted by William the Conqueror into a Norman earthwork and timber-stockaded castle. 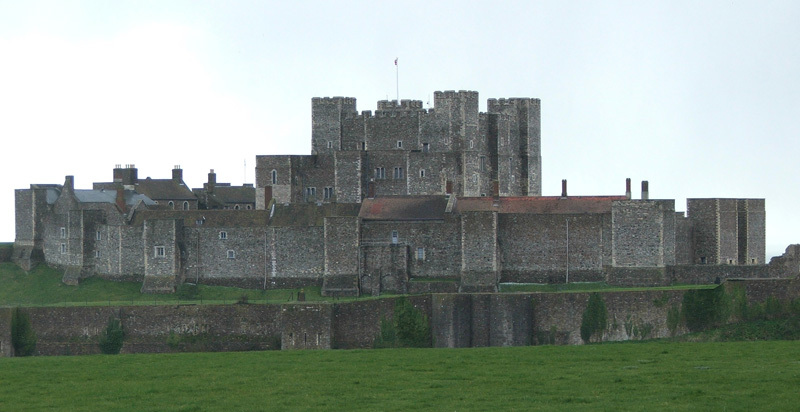 From then on Dover Castle was garrisoned uninterruptedly until 1958, a continuous nine-century span equalled only by the Tower of London and Windsor Castle. The stronghold hosted royal visits by Henry VIII, Elizabeth I and Charles I’s Queen Henrietta Maria: and from 1740 until 1945, its defences were successively updated in response to every European war involving Britain. Dover Castle is above all a great medieval fortress, created by King Henry II and his Plantagenet successors. At its heart stands the mighty keep or Great Tower, 83 feet (25.3m) high and just under 100 feet (30m) square, with walls up to 21 feet (6.5m) thick. The grandest and among the last of the keeps raised by the kings of England during the 11th and 12th centuries, it was designed by Henry II’s architect ‘Maurice the Engineer’ and built between 1180 and 1185. A symbol of kingly power and authority guarding the gateway to the realm, it was also a palace designed for royal ceremony, and to house Henry’s travelling court. Within this magnificent showpiece, Henry could welcome and impress distinguished visitors to England– particularly noble pilgrims travelling to the new shrine in Canterbury Cathedral of St.Thomas Becket, slaughtered before the altar by Henry’s household knights only a dozen or so years before the Great Tower was begun. Once the king’s closest friend, Becket had later become his bitter enemy: and though Henry probably did not intend his murder, he did extravagant penance for a crime which shocked all 12th-century Europe, walking barefoot to Canterbury and allowing himself to be flogged there by all 70 cathedral monks. Having done his penance, Henry both capitalised on the situation and re-established his prestige by building the Great Tower. Here the distinguished visitors who began flocking to Becket’s tomb very soon after his martyrdom could be in no doubt about the king’s power, wealth and authority. As one of English Heritage’s most ambitious projects for many years, the entire interior of Henry’s Great Tower palace has now been breathtakingly recreated. Historians, designers, artists and craftspeople have combined to present it as it might have appeared when newly completed, and ready to receive an important visitor, Count Philip of Flanders, in 1184.